The world’s leading AV support unit. A flexible package which can be customised with accessories to suit user requirements. for large format displays, offering easy access to the screen for interactive sessions. The column structure features internal equipment storage and concealed cable management with a lockable back panel for a secure and tidy installation. AV/VC One is versatile and expandable, designed to adapt to a variety of working environments. The product can be tailored to suit specific applications using a range of user selectable accessories such as VC camera mount, codec mount or even an additional screen mount kit to expand to dual screen configuration. With high capacity media storage capability, AV/VC One is able to conveniently house a range of technology elements, including 19” rack mount equipment to support the most demanding AV or VC applications. 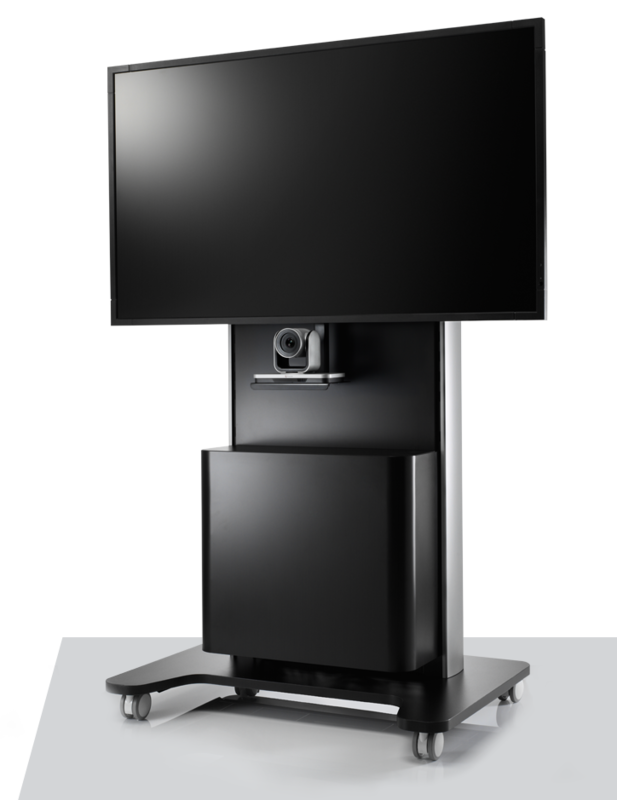 AV/VC One – the world’s leading AV support unit.